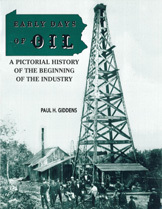 This book presents a pictorial history of the early days of the petroleum industry. Most of the photographs are from John Mather's original negatives or from prints if the negatives were broken or destroyed. Drake Well Museum now owns Mather's negative collection.